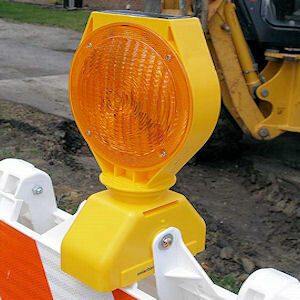 Solar warning light beacon for construction sites, work zones, traffic highway, and security projects. 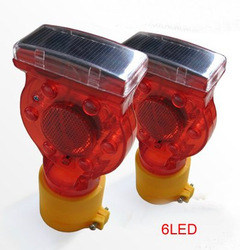 The Solar Powered Warning Lights incorporate the latest photovoltaic technology into a compact efficiently designed solar powered barrier warning light package. Only takes a few hours of indirect sunlight to fully restore the battery. The battery has rechargeable capabilities that replace a conventional system. By employing renewable energy, which is free, constant and non-polluting, the SOLAR Lights eliminate maintenance and disposal costs. An intense light output is generated each night for many years. Providing superior performance and dependability over conventional battery powered systems. 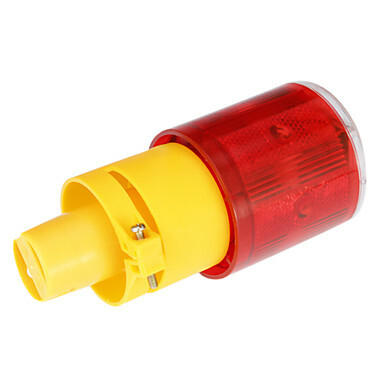 The Solar Warning Signal Light is the latest photo-voltaic technology into a compact efficiently designed solar powered barrier warning light package. Only takes a few hours of indirect sunlight to fully restore the battery. The battery has rechargeable capabilities that replace a conventional system. By employing renewable energy, which is free, constant and non-polluting, the Solar Warning Signal Light eliminates maintenance and disposal costs. An intense light output is generated each night for many years. Providing superior performance and dependability over conventional battery-powered systems. Simply install at the beginning of the job and return when it is completed. 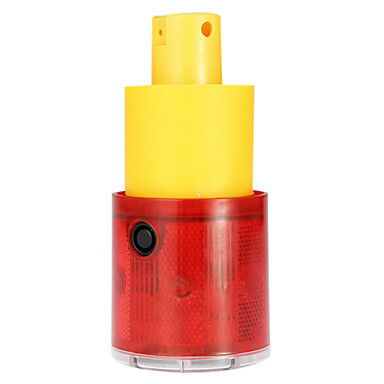 The Solar Traffic siginal Light takes the worry out of temporary or emergency barricade warning lights. Made of durable Polycarbonate. Mounting hardware included. 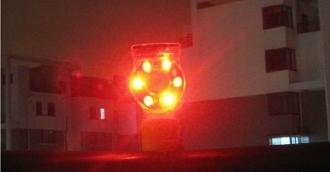 The Solar Traffic Signal Light is the latest photo-voltaic technology into a compact efficiently designed solar powered barrier warning light package. Only takes a few hours of indirect sunlight to fully restore the battery. The battery has rechargeable capabilities that replace a conventional system. 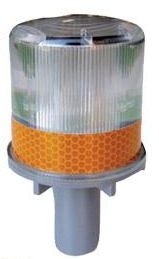 By employing renewable energy, which is free, constant and non-polluting, the Solar Traffic Signal Light eliminates maintenance and disposal costs. 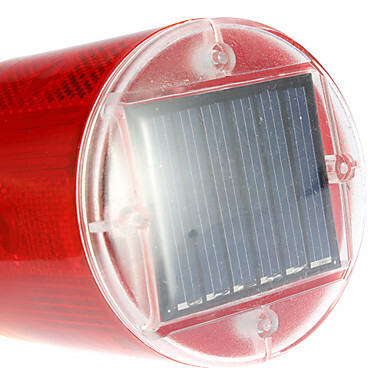 Truly one of the most versatile solar warning lights available. 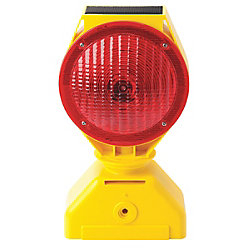 With its mounting options a super bright signal is generated each night for many years to accommodate your temporary or emergency warning light needs. Simply install it at the beginning of the job and store it upon job completion. Waterproof and made of durable polycarbonate, the unit comes completely assembled and ready to use. Hold it in your hand, place it in a traffic safety cone, mount it on a pipe, secure it to a wall or fence, slip it into the pole holder of your water craft or utilize its magnetic base on steel surfaces for stability and easy removal when necessary. The hand-held/cone mounting model is standard. Each option is available and easily installed to the standard unit by the user or our factory.